You will earn 647 Reward Points. Earn 1 reward point for every 1 dollar spent. The Hatco Glo-Ray® Heated Shelf has an extruded aluminum base with non-slip rubber feet, stainless steel top and blanket-type element for uniform heat distribution. Fiberglass insulation keeps heat at the holding surface while a built-in adjustable thermostat controls surface temperature. 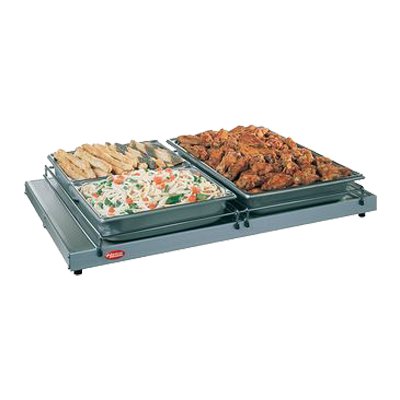 Ideal for pass-through areas, buffet lines or as a heated work shelf.